Wherever you live in the world, pests can be horrible, unwanted guests to encounter, and this is no different in Dubai. Pest Control in Dubai is inevitable, whether you’re suffering from ants or cockroaches, mosquitoes or mice. Getting rid of pests in Dubai is a task that every family dreads, but something that needs to be handled professionally to ensure your loved ones’ well-being. With these top tips on pest control, you can make sure your home in Dubai stays as safe and pest-free as can be. Pests have to have a way into your home in order to cause a problem. The best way to pest control is to block off their entry points and this is the first piece of advice that pest control services in Dubai will give you. This can be slightly easier with the likes of ants, as you can follow the trail back to where they are entering, but pest control for rodents or flies can be tricky. The best thing is to seal off all unnecessary holes or gaps in your home, paying particular attention to the skirting board and corners of doors and windows. One bonus to this is that, as well as serving as a pest control, it will also make your home in Dubai more energy efficient, as drafts won’t enter in the winter and heat won’t enter in the summer! The kitchen is the main place all pests are travelling towards. The fallen crumbs of food and multiple damp spaces make for an ideal breeding ground. In order to avoid calling in pest control services, try and keep your Dubai kitchen in top shape. The best way to do this is to always seal any open food packaging, clean the floor twice a week and wipe the surfaces every day. The less food crumbs available, the less temptation for pests and the better you can pest control your home. You should also try to keep all of your fruit in the refrigerator, as the natural sweet can be a real magnet for insects, and take out your rubbish every night before you go to sleep, another great way to avoid having to call professional pest control services. Although the inside of your home may have been protected and kept clean, it’s important to do the same with the outside to fully ensure your pest control. This is something that many people forget about or brush aside, but if there are no gaps on the outside of your property, you can rest assured that pests aren’t entering inside your Dubai home. Remove any unused wood or built up leaves, as these can make great homes for pests and can make pest control harder. Go along the guttering of your property, the base of the house and any windows or doors to check for any open gaps, and fill them with a strong, long-lasting sealant. Also make sure to keep your patio, decking or driveway clean, disinfecting it regularly, as this will ensure you keep the Dubai pest control services away for longer. Sometimes we can bring insects or bugs into our homes in Dubai, without even realising it. This is particularly true of shopping bags containing fruit, as insects, or their eggs, may be hidden in the packaging. Likewise, things like bicycles or babies’ pushchairs can also carry unwanted guests into the home and make your pest control in Dubai more difficult to monitor. Be extra vigilant with what you bring into your house, and always leave bikes, prams, scooters and shoes at the front door to prevent them from easily reaching the kitchen. If you watch what you’re bringing inside your home, you will be able to put off professional pest control services in Dubai. However clean your property is, sometimes pests in Dubai are unavoidable. To make sure your home is always 100% safe, it’s best to schedule regular pest control appointments with professional pest control services. Even though you cannot see the pests, that doesn’t mean they’re not there, especially ones like bed bugs or termites, which can be some of the hardest pests to control. Before you get in the professional pest control team in Dubai, make sure you ask them how long the family will need to be out of the house and any other precautions you should take if you have children or pets at home, as every company will use different products. 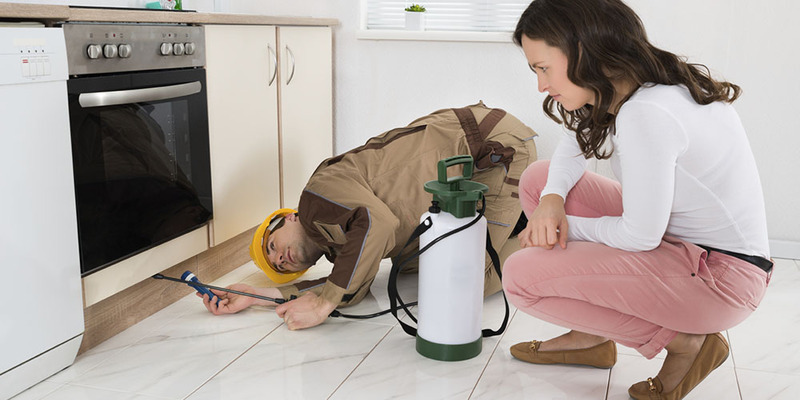 Use Mr Usta to find a pest control service in Dubai that is affordable and efficient. Keeping your home in the UAE pest-free is an on-going battle for many families, especially those with ground floor apartments or villas. If you stick to these tips, you will know what to do to control pests, prevent them and reduce your risk of having to call in the pest control in Dubai. If you are moving into a new Dubai home, it’s advisable to hire professional pest control services before you move your furniture and family in, as this will ensure your property is safe from day one. To find the ideal pest control service in Dubai to suit your requirements, head to mrUsta’s Pest Control section.